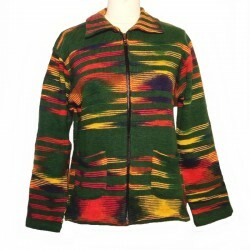 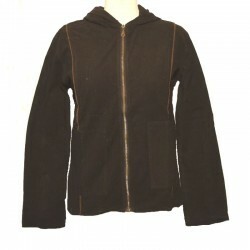 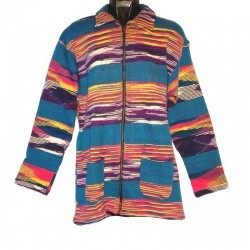 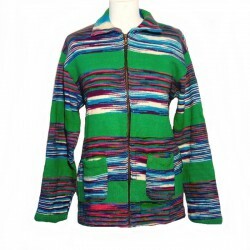 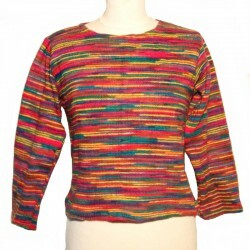 Long asymmetric cotton jacket for women, made in Nepal. 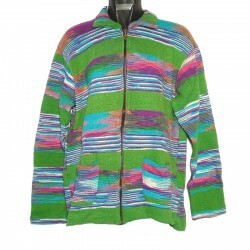 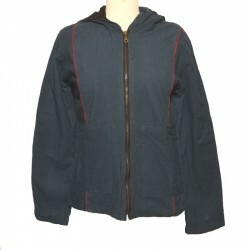 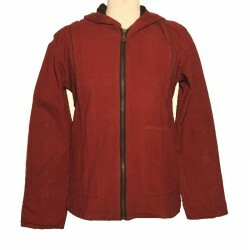 Original ethnic jacket, bicolour, plain maroon and old pink embroidered with threads of colors, 2 pockets on the sides taken in the seam, 1 inside pocket with scratch and a hood. 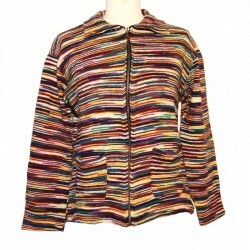 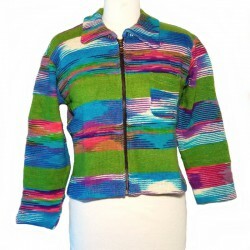 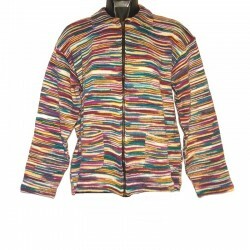 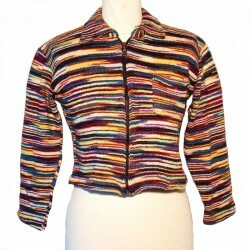 Elegant bohemian chic jacket for all seasons. 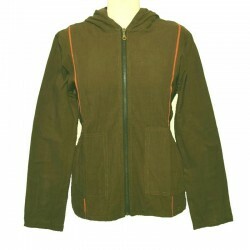 Wash separately in cold water or dry cleaning.